PR Mageddon at WFTDA Playoffs! 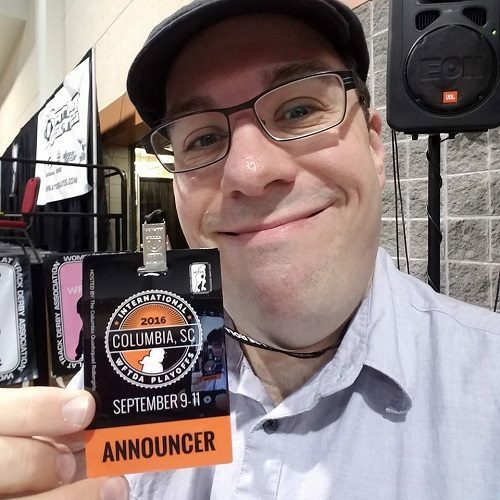 We’re very proud of our head announcer, PR Mageddon, who is announcing at this weekend’s WFTDA International Playoff in Columbia, South Carolina. CRG represented on the global level! We also want to wish PR an early Happy Birthday, as he’ll celebrate the big day this Wednesday! Happy birthday, PR! CRG to Close 2016 Season with Home Game vs. Tragic City Rollers	CRG in the Courier!